NEW YORK, Nov. 27 /CSRwire/ - Airbnb executives acquiesced last week to pressure from the BDS (“Boycott, Divestment, and Sanctions”) campaign by removing roughly 200 Jewish rental listings in the West Bank. While hundreds of companies are pressured by BDS activists, and some European companies have acquiesced and cut ties to Israel, this is the first time a US company has caved publicly to BDS pressure. Background information is essential to understanding the consequences of this misguided move, and to provide context for CSR professionals as they increasingly face pressure from the BDS campaign. The extremely complex Israeli-Palestinian conflict involves centuries of history, global geo-political alliances, heart-wrenching atrocities, and compelling narratives from a range of perspectives. Any effort to frame the conflict in simplistic black and white terms, where one side is right and the other side is wrong, is at best ignorant and at worst politically biased and immoral. Israel has been the homeland of the Jewish people for over 2,500 years. In 1947, the United Nations voted to partition the land into two states for two peoples: Israel and Palestine. While Jewish leaders accepted the UN partition and built the modern state of Israel, Arab leaders rejected the plan and instead supported the Arab League boycott to prevent the creation of a Jewish state in the region. War and conflict have persisted ever since. Despite the intractable conflict, many Jews and Arabs (Israelis and Palestinians) recognize that their futures are entwined, and that seeking peace and coexistence is the best path forward. The economic warfare tactics of the campaign include boycotts (i.e. consumer, academic, entertainment, sports), divestment by investors and corporations, and government sanctions in an effort to cripple Israel’s economy. The campaign explicitly seeks to compare Israel to apartheid South Africa. This analogy, like many other aspects of the BDS campaign, does not hold up under scrutiny. The Israeli-Palestinian conflict is a two-sided conflict where both sides have important claims and grievances. For this reason, BDS will never be effective and will only entrench the conflict. Most leaders in the US and around the world oppose BDS and consider it a discriminatory anti-Semitic movement. There are many inspiring examples of coexistence, but they are excluded from BDS materials. BDS activists reject any economic development or other interaction with Israel by individuals, organizations, and companies. Yet divestment from a conflict region in an attempt to punish one of the actors only leads to further economic instability, rather than help lay an economic groundwork for peace. It is tragic that the BDS campaign has framed the choice as either one of divestment or of violating human rights. The truly responsible choice for companies is to lay the economic groundwork for peace through sensitive and thoughtful impact investment and economic development in conflict regions. Cisco is an interesting case study of a company that invested heavily in the Palestinian tech sector only to receive BDS pressure including multiple anti-Israel shareholder resolutions in recent years. The BDS campaign claims to be concerned with Palestinian rights, but aggressively undermines the development of the Palestinian economy, job creation, and coexistence with Jewish neighbors. Airbnb’s statement on their decision is flawed. They admit they are “not the experts when it comes to the historical disputes in this region” and they spoke with “various experts” without listing those experts by name. They describe settlements as “the core of the dispute,” but while settlements are one of many issues to be resolved, the conflict existed long before the settlements were established. The decision is discriminatory as the company only de-listed properties in the West Bank that are Jewish-owned. Airbnb did not de-list Palestinian-owned properties despite the two-sided nature of the conflict, nor has Airbnb de-listed properties in any other conflict area or disputed territory in the world despite the broad nature of its newly announced policy. Companies need to understand the financial and reputational implications of succumbing to BDS. From a revenue standpoint, the small number of Jewish listings located in the West Bank are a miniscule percentage of the company’s overall revenue. But from a reputation standpoint this choice has already proved a disaster as Airbnb traded one controversy for a much larger one. Airbnb now faces multiple legal actions; it has quickly become embroiled in controversy in the many US states where it is illegal to support BDS; some city and municipal governments have already issued calls to boycott Airbnb for their decision; and the company has received significant negative press. Other vacation rental companies including Booking.com, under similar pressure by BDS, have refused to acquiesce. The CSR field has evolved significantly in recent years, buoyed by the growth in socially responsible investing and the importance of ethical business for investors, consumers and employees. In the 1980s, divestment/avoidance was the only option a company had when faced with a social challenge. Nowadays, business and investment capital has truly become a force for good, and corporate executives embrace policies that use corporate power to address social and environmental concerns. The Israeli-Palestinian conflict is a legitimate social concern. But BDS tactics only serve to further stoke the conflict. Rather than using business to lay the economic foundation for peace and coexistence, BDS promotes discrimination, attack campaigns, and threats. CSR executives must guard against being manipulated by a political agenda and instead seek to use the power of their company to advance progress and positive impact for people and planet. Understand how the BDS campaign co-opts the values of corporate social responsibility for a political agenda. The BDS campaign frequently couches its claims in benign-sounding human rights language to obscure the politicized nature of its ambitions. Verify the facts and research you are provided, not just from the BDS campaign, but for all campaigns that attempt to influence corporate behavior. Understandably this has become increasingly challenging as the number of campaigns has increased dramatically, and the expertise required to assess a campaign is not easy to acquire. But it is a vital step. Collect complete information before you make a decision in order to not trade one controversy for another. Speak with a variety of experts, all of whom should be willing to publicly disclose that you spoke with them. 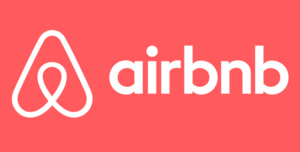 It has been speculated that Airbnb rushed to a decision after Human Rights Watch threatened to release a negative report. Contact JLens. Our organization serves as a bridge between the Jewish community and the SRI/CSR movements. We engage with over 300 public companies owned in our Jewish Advocacy Strategy on a range of issues related to Jewish social and environmental values. We work collaboratively with CSR professionals and admire the critically important role they have inside corporations, and we don’t want to see another company fall victim to the discriminatory BDS campaign. As socially responsible investors we share the same belief as CSR professionals: that business and investment capital can be a force for good. We all have worked too hard to gain credibility and influence for the SRI/CSR arena to be manipulated by biased campaigns with ulterior political motives.